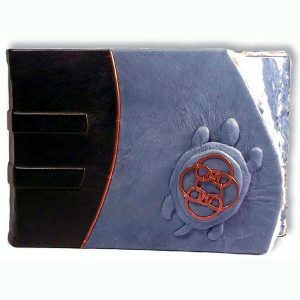 This Custom Leather Engagement Book features a three dimensional rendering of the Infinity Symbol. 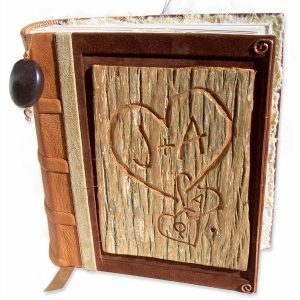 It has been hand carved and embossed under smooth brown leather. 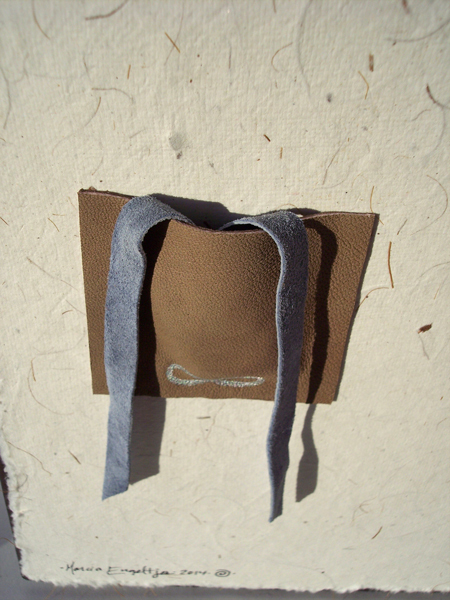 Hidden inside the front cover is a leather pocket to fit an engagement ring. A leather lace is tied to the ring, for it to be removed from the pocket for the big reveal. 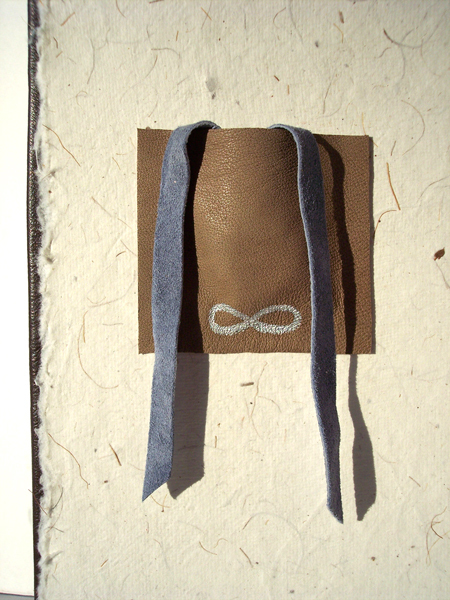 Acid-free pages are handsewn around three binding cords as seen along the spine. 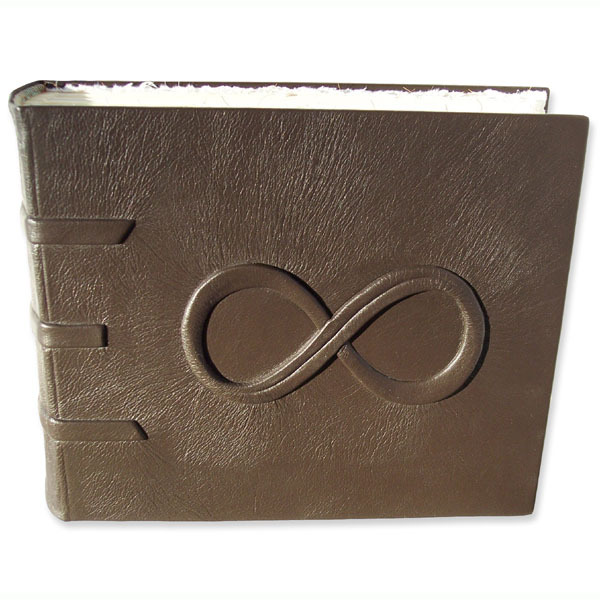 The interior of the Custom Leather Infinity Engagement Book is lined with handmade paper, embedded with plant fibers and leaves. The cover hinges are reinforced with a double layer of 55 lb tensile strength fabric to ensure heirloom quality and durability. Archival permanently flexible bookbinding glue has been used to ensure lifetime durability. 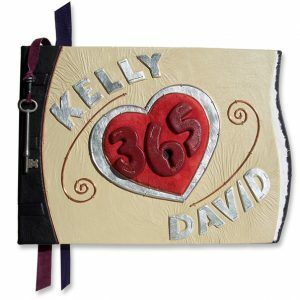 CONTACT me to inquire about your own Custom Book.